I was in Portland, Maine a couple of months ago and I visited a local cafe that stored their coffee beans in these Oxo Steel POP Containers. When I returned home, I decided to buy one for myself. It is one of the best things I've ever bought for my coffee setup. 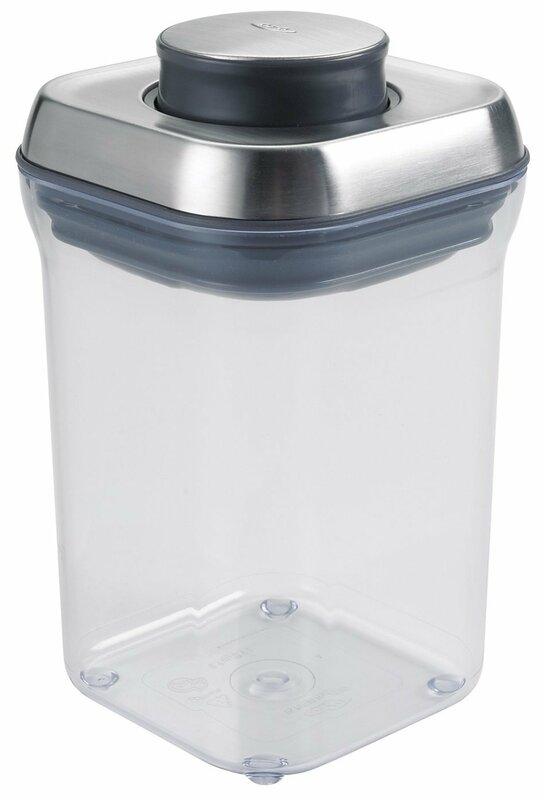 The single-button air-tight lid is so easy to use and doesn't require me to lean my body weight to push air out. Super satisfied with this purchase. I bought the small size (.9 Quarts) but if you need larger versions OXO sells that too.